MACAA set to hold citizens conference, ILORIN 2018 – Royal Times of Nigeria. 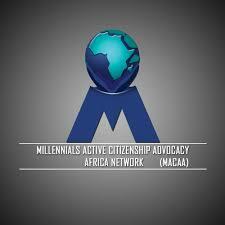 The Millennials Active Citizenship Advocacy Africa (MACAA) has announced, her CITIZENS CONFERENCE, ILORIN 2018. In a statement signed by it’s Executive Director, Seun Awogbenle, released in Ilorin on Thursday, the organization noted that the conference is line with it’s resolve to strenthen and deepen democratic governance. He disclosed that this year’s conference with the Theme, NOT TOO YOUNG TO RUN AND THEN WHAT? 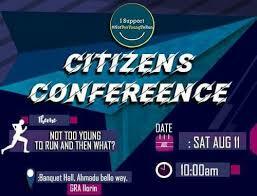 will hold on Saturday, August 11 at the Kwara State Government Banquet Hall, Ahmadu Bello Way, GRA Ilorin. Awogbenle stressed that “the Organization has an unstinting conviction, that although the Challenges that stake us may appear manifold and profound, they only require our collective attention, deliberation, and action. He added that the list of panelist will be reeled out in the coming days. He reiterated the commitment of the organization to helping Millennials find their voice, unlock the power of the citizen and inspire Africa’s new tribe.